The use of implants has significantly increased prosthetic options for the edentulous patient. However, implant placement in the posterior maxillary region is often hampered significantly by anatomic limitations such as inadequate vertical dimension, poor bone quality,,,,, thinning or missing cortex, and undercuts. For implant placement in the posterior maxillary region, the maxillary sinus is one of the most important anatomic structures. Following tooth extraction, the periosteum of the maxillary sinus can exhibit an increase in osteoclastic activity. The resulting reduced bone height due to pneumatization of the maxillary sinus influences the length and location of implants. Previously, many fixed restorations terminated at the second premolar due to insufficient alveolar ridge height. Many reports have also concluded that when shorter implants (<10 mm) are placed, they are less successful than longer implants.,,,, Thus, procedures such as sinus floor elevation (SFE), which facilitate the placement of longer implants in the posterior maxilla, have received a lot of attention in recent years. The purpose of this review is to enumerate all the techniques used for sinus augmentation with their advantages and disadvantages and their indications. Thus, proper understanding of the anatomy and physiology of the maxillary sinus is a prerequisite for deciding the treatment plan for implant placement. The largest of the paranasal air cavities, the maxillary sinus includes a medial wall that separates the maxillary sinus from the nasal cavity, a posterior wall facing the maxillary tuberosity, a mesiovestibular wall containing the neurovascular bundle, an upper wall constituting the orbit floor, and a lower wall next to the alveolar process that is the bottom of the maxillary sinus itself. The maxillary sinus communicates with the ipsilateral nasal fossa by means of a natural ostium located posterosuperiorly on the medial surface. In adults with a full set of teeth, the maxillary sinus floor is the strongest of the bone walls surrounding the cavity. However, as aging occurs, the sinus floor tends to resorb and form dehiscences around the roots. The root ends may jut into the cavity, covered only by the Schneiderian membrane and a small bone cortex flap (which in turn may be missing). Extreme care must be taken to avoid tearing the membrane when separating it from such exposed apices. The mesiovestibular and medial bone walls are the ones most often involved in maxillary sinus surgery. An accessory ostium may sometimes be found on the medial wall. When this occurs, it should be identified before any maxillary sinus elevation procedure is performed to avoid detaching the mucosa up to this point. The Schneiderian (mucous) membrane lines the inner walls of the sinus and in turn is covered by pseudostratified columnar ciliated epithelium. Serum-mucosa glands are located in the lamina directly underneath, especially next to the ostium opening. Normally, the thickness of the Schneiderian membrane varies from 0.13 mm to 0.5 mm. However, inflammation or allergic phenomena may cause it to thicken, either generally or locally. In cases of maxillary edentulism, progressive resorption of the alveolar ridge may reduce the bone to a thickness of less than 1 mm. Several causes may contribute to this phenomenon. Teeth and the masticatory loads they apply stimulate the alveolar bone and limit its resorption. Immediately after the avulsion of a tooth, significant bone modeling typically occurs. Vertical bone loss later tends to stabilize, averaging about 0.1 mm per year, though large variations can be found among individuals. However, hormonal imbalances, metabolic factors, inflammation, and certain systemic pathologies can cause the bone resorption to accelerate again. Age and gender may also influence bone loss. The sinus floor tends to lower craniocaudally as the alveolar ridge is resorbed in the opposed direction. It is the lack of vertical posterior maxillary bone that often necessitates the use of bone grafts or sinus lifting procedures prior to implant rehabilitation. Progressive resorption of the posterior maxillary edentulous ridge follows a well-defined path that differs from that of the anterior regions and includes repeatable, predictable morphologic changes. Cawood and Howell's  system for classifying the degrees of atrophy based on the morphologic differences in the residual ridge is extremely useful for presurgical diagnostic assessment, as ridge appearance is connected to the horizontal and vertical dimensions of bone available for implants. Inside the maxillary sinus, bony septa originating in the sinus floor are often found. Called Underwood's septa, they may divide the back part of the sinus into multiple compartments known as posterior recesses. They may even occasionally reach from the base to the upper sinus wall, creating two sinuses. Estimates of the prevalence of such septa have ranged 16-58%., The formation of Underwood's septa may be linked to the fact that teeth are lost at different times. The edentulous areas may resorb in a manner that results in a difference in level between the two adjacent portions of the sinus floor. It is thought that a bony septum may form in the area between the two regressing areas in order to transfer masticatory loads optimally. After the complete loss of teeth, the septa sometimes gradually disappear. A tridimensional (3-D) x-ray diagnosis of septa presence is important for planning the size, shape, and position of the antrostomy in maxillary sinus elevation and later separating the sinus membrane from the septa. Three arteries supply blood to the maxillary sinus: The infraorbital artery, the posterior lateral nasal artery, and the posterior superior alveolar artery. While their presence should be investigated to avoid hemorrhages during sinus grafting surgery, severe hemorrhages tend to be rare, as the main arteries do not run inside the surgical area. If small vessels located in the exposed Schneiderian membrane are broken, it is better to allow hemostasis to occur naturally. Applying light pressure with gauze may be effective, however, whereas an electrocoagulator might cause membrane necrosis. Innervation of the maxillary sinus originates directly from the maxillary nerve, the second branch of the fifth cranial nerve. With its posterior middle and superior alveolar branches, it innervates the posterior sinus floor together with the molar and premolar teeth. The anterior superior alveolar branch reaches the anterior sinus wall and the superior dental plexus, running below the Schneiderian membrane. Some branches starting in the infraorbital nerve branch out from the trunk before exiting the infraorbital foramen. They then innervate the maxillary sinus medial wall. Branches of the pterygopalatine ganglion and the sphenopalatine ganglion also innervate the sinus mucosa. No history of sinus pathosis. Insufficient residual bone height (less than 10 mm of bone height). Poor bone quality and quantity in the posterior maxilla. Recent radiation therapy in maxilla. Uncontrolled systemic diseases such as diabetes mellitus. Tumor or large cyst in the maxillary sinus. Maxillary SFE was first described by Dr. Hilt Tatum at an Alabama implant conference in 1976. This opened the doors to various studies and trials to develop a technique which is appropriate for implant placement. Nonetheless, for the success of any procedure in the maxillary posterior region, the surgeon should be well versed with its anatomy, vascularity, and nerve supply, along with their variations. Diagnostic imaging is an essential component of treatment planning in oral rehabilitation by means of osseointegrated implants. The “E.A.O guidelines for the use of diagnostic imaging in implant dentistry” was published in the Journal of Clinical Oral Implant Research in 2002. The guidelines arose from the proceedings of a consensus workshop held at Trinity College Dublin, Ireland in 2000 under the auspices of the European Association for Osseointegration (EAO). The project was originally initiated because of concerns about the commercialization and growing use of multislice computed tomography (CT) scans for the assessment of patients in need of implants. The absence of any guidelines as to when or how these images should be used instead of conventional radiographic investigations was a major concern for the EAO. In 2011, the EAO held a consensus workshop on radiological guidelines in implant dentistry. Previous EAO guidelines from 2002 were updated and expanded to include cone-beam computed tomography (CBCT)., CBCT can offer cross-sectional imaging and 3-D reconstructions at potentially lower radiation doses compared to medical multislice CT. By using panoramic views of the posterior maxilla, there is the risk of underestimating the amount of bone available for implant placement. CBCT provides more accurate measurements of the available bone volume., CBCT can also provide information on arterial channels in the lateral sinus wall, the presence of septa, and the pathology of the maxillary sinus. It is important to review the pertinent maxillary sinus anatomy and common maxillary sinus findings, including how to identify the nature of the pathology, and to present a framework for decision-making for dentists to use in determining the appropriate course of treatment when faced with positive sinus findings. Common sinus pathologies such as mucosal thickening, mucous retention cysts, sinus polyps, or oroantral communications can be easily recognized using proper diagnostic techniques, which in turn will help us improve the prognosis of any implant therapy in such cases by way of proper treatment planning and execution. In 1987, Misch developed a classification [Figure 1] for the treatment of edentulous posterior maxilla based on the amount of bone available below the antrum and the ridge width. 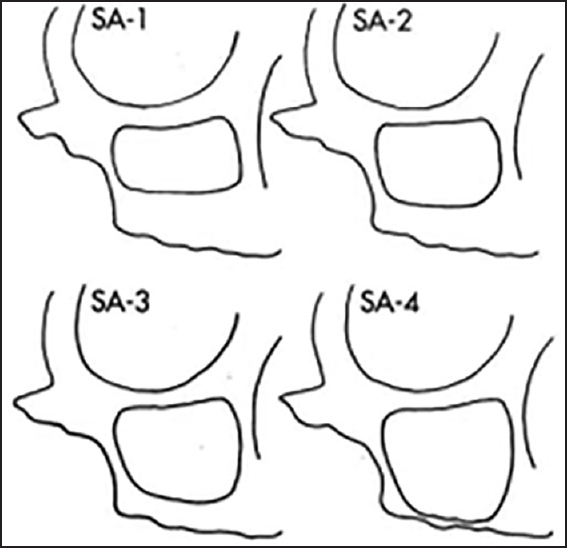 Treatment categories ranged from subantral augmentation category 1 (SA1) to SA4 based on bone height A (>5 mm) and B (2.5-5 mm) based on ridge width. SA1: It has an adequate vertical bone for implants, that is, 12 mm. No manipulation of sinus is required. SA2: It has 0-2 mm less than the ideal height of bone and may require surgical correction. SA3: It has just 5-10 mm of bone below sinus. SA4: It has less than 5 mm of bone below sinus. The reduced vertical bone height in the posterior maxillary region is often a major obstacle to the placement of dental implants. Elevation of the maxillary sinus floor is an option to solve this problem. Various surgical techniques have been presented to access the sinus cavity and elevate the sinus membrane. The two main techniques of SFE for dental implant placement are: A two-stage technique with a lateral window approach, followed by implant placement after a healing period; and a one-stage technique using either a lateral or a transalveolar approach. The decision to use one- or two-stage techniques is based on the amount of residual bone available and the possibility of achieving primary stability for the inserted implants. Tatum  and Boyne and James  were the first authors to publish studies on elevation of the maxillary sinus floor in patients with large, pneumatized sinus cavities. They described a two-stage procedure, where the maxillary sinus was grafted using autogenous particulate iliac bone in the first stage of surgery. After approximately 3 months, a second stage of surgery was performed in which blade implants were placed and later used to support the prosthetic constructions. Since then, numerous articles have been published regarding different grafting materials and modifications of this technique. Sinus elevation surgery can be accomplished under local anesthesia; however, when a patient is apprehensive or when a second surgical site is used for harvesting of an autogenous bone graft, oral sedation or intravenous sedation or even general anesthesia is sometimes employed. After administration of the local anesthesia, the maxillary sinus is exposed by a full-thickness mucoperiosteal flap. The first incision is usually crestal, and it should be longer than the future osteotomy in the anteroposterior dimension. Mesial and distal releasing incisions can be made to facilitate visibility. Following flap reflection, the dimensions of the osteotomy are determined based on the clinical and radiographic examinations. The lower border of the osteotomy should be approximately 3 mm above the sinus floor. The osteotomy should be oval or rectangular, and corners and sharp edges should be obtained using a round diamond or a carbide bur at low speed with copious saline irrigation. When the osteotomy is almost complete, the sinus membrane, which is bluish-purple, can sometimes be observed. After completion of osteotomy, the bony wall should be mobile and attached only to the underlying sinus membrane. The bony wall can now be carefully removed and retained for later incorporation into the graft material or tapped into the sinus hinging on its superior margin while still attached to the membrane. If the sinus wall is tapped into the sinus, it will ultimately serve as the new sinus floor and the roof of the chamber containing the bone graft material. Tapping the wall into the sinus or removing it is a matter of clinical preference. The sinus membrane is gently reflected and elevated using special curettes to create space for the graft material. Sinus membrane reflection should be to the medial wall of the sinus and superior enough to prevent pressure on the graft and prevent membrane tearing during graft placement. The graft material of choice is then packed into the space created. A synthetic membrane can be used to cover the window or the lateral wall of the graft. Finally, the mucoperiosteal flap is repositioned and sutured [Figure 2], [Figure 12] and [Figure 13]. It should be noted that the largest blood vessel in the lateral wall is from an endosseous anastomosis from the posterior superior alveolar and the infraorbital artery that is approximately 1.5 mm in diameter. However, when the lateral wall is very thin in the edentulous patient, this blood vessel atrophies and often is not present. Thus, excessive bleeding is rare. This vessel proceeds in the lateral wall of the maxilla 15-20 mm from the dentate crest. The horizontal lines of the access window should not be positioned directly over this structure. The vertical lines of the access window often cut through the artery. Because the blood supply may be from either direction, both vertical access lines may have bleeding. This is rarely a concern for vision or blood loss during the procedure. If intraosseous bleeding is a problem, the high-speed diamond used to score the window may be used without irrigation and polish the bleeding site, which cauterizes the vessel from the heat on the bony wall. Electrocautery may also be used on this vessel, if necessary. A hemostat on the artery may be less effective because it might fracture the lateral wall and/or perforate the sinus mucosa. Elevating the head and applying a surgical sponge to the site for a few minutes is also sufficient to control this hemorrhage in many cases. The advantages of a single stage procedure are reduced healing time by 50% due to reduction of one operation; however, the main potential disadvantage with the one-stage procedure is the possibility of being unable to stabilize implants in minimal bone heights, with the additional risk of implants falling inside the sinus. Therefore, if an implant is unstable or it is suspected that it would be difficult to stabilize, it is always possible to postpone implant placement to wait for graft healing and opt for a two-stage procedure. The choice of procedure is left to the operator (and the patient). Felice et al. conducted a multicenter trial with the aim to understand which procedure, one- or two-stage technique, could be preferable when augmenting sinuses with residual bone heights of 1-3 mm, using a lateral window technique for rehabilitating patients with implant-supported fixed partial prostheses. They only evaluated the outcome of implants placed in bone heights of 1-3 mm below the maxillary sinuses up to 1-year postloading follow-up. Both techniques were able to achieve the planned goals, and no statistically significant differences were observed. In addition, complications were similarly distributed between groups. In this study, only one implant did not obtain sufficient stability at placement. 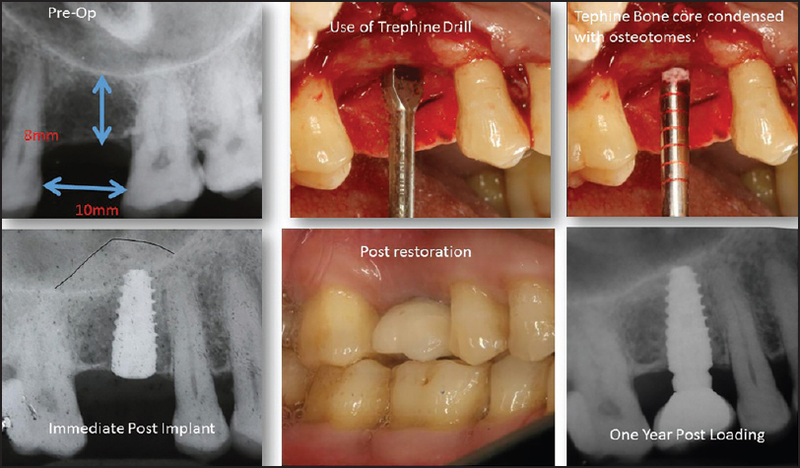 The crestal approach consists of elevating the sinus floor using varying techniques as described below and placing graft material prior to implant placement [Figure 3]. A crestal approach for sinus floor elevation with subsequent placement of implants was first suggested by Tatum in 1986. 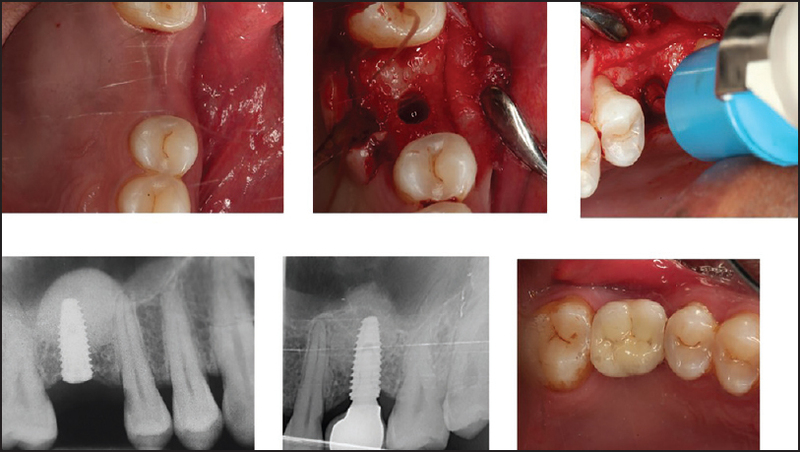 Utilizing this crestal approach, a “socket former” for the selected implant size was used to prepare the implant site. A “green-stick fracture” of the sinus floor was accomplished by hand tapping the “socket former” in a vertical direction. After preparation of the implant site, a root-formed implant was placed and allowed to heal in a submerged way. Summers (1994) later described another crestal approach, using tapered osteotomes with increasing diameters. Bone was conserved by this osteotome technique because drilling was not performed. Adjacent bone was compressed by pushing and tapping as the sinus membrane was elevated. Then, autogenous, allogenic, or xenogenic bone grafts were added to increase the volume below the elevated sinus membrane. Indirect osteotome maxillary sinus floor elevation (OMSFE) is generally employed when the residual bone height is equal to or greater than 6 mm; in cases with higher resorption, the direct sinus elevation technique is used. The indirect osteotome technique offers a number of advantages: The surgery is more conservative, sinus augmentation is localized, there is a low rate of postoperative morbidity, a shorter time to implant loading is possible than with the direct technique, and high survival rates of around 90% are obtained. Reports relative to amount of elevation achievable with the osteotome technique are varied. Some suggest restricting the use of the osteotomes to create minimal amounts of elevation. Others have reported augmentation of up to 13 mm. Patient perception of the osteotome procedure is generally good, with more than 90% of patients reporting being satisfied with their treatment. Reported complications are few. One report described the clinical complication of benign paroxysmal vertigo (4 cases). Small membrane perforations without clinical significance occurred in 2.2%, 13%, and 25% of cases in other different studies. Graft shrinkage and remodeling around the apical area of implants placed by the osteotome technique were reported to be 19% in one radiographic study. In a meta-analysis of studies of cases with osteotome placement of implant, there was a success/ survival rate of 98.7%, 98%, 95.7% and 96% after 6, 12, 24 and 36 months of loading, respectively, which are outcomes similar to conventionally placed implants. The type of graft materials did not appear to affect the results. These success rates change as the implant length and amount of preoperative bone decrease. The survival rates were 100% for 12 mm, 98.75% for 10 mm, 98.7% for 8 mm, and only 47.6% for 6 mm implants. If the pretreatment bone is greater than 5 mm, the success ranges 96-100%. However, if the bone is less than 5 mm, the rate is only 85.7-91.3%. This evidence suggests that for optimum implant success, if the preoperative alveolar bone height is not greater than 5 mm, it must be augmented to the extent that that at least 5 mm of healed bone exists before implant placement. In a systematic review by Massimo et al., cumulative implant success rates were estimated for each study at the 1-, 2-, 3-, and 5-year follow-up. Overall weighted mean success rate (SR) was estimated to be 98.12% at 1-year, 97.40% at 2-year, 96.75% at 3-year, and 95.81% at 5-year follow-up. Overall implant survival was 92.7% for 331 implants placed in <5 mm ridge height and 96.9% for 2525 implants inserted in >5 mm ridge height. This finding suggests that the prognosis can be more favorable when the residual ridge height is greater than 5 mm. There is still controversy regarding the necessity of a grafting material in order to maintain the space for new bone formation after elevating the sinus membrane utilizing the transalveolar technique. Nedir et al. found that implant protrusion into the sinus decreased from 4.9 ± 1.9 mm after surgery to 1.5 ± 0.9 mm after 5 years when no grafting material was used. Pjetursson et al. compared a group of 164 implants installed by the transalveolar technique with no grafting materials being placed with another group of 88 implants installed by the transalveolar technique where deproteinized bone material was placed. The authors reported a gain in radiographic bone height of 1.7 mm and 4.1 mm, respectively, when assessing these parameters on digitized periapical radiographs. Esposito et al. 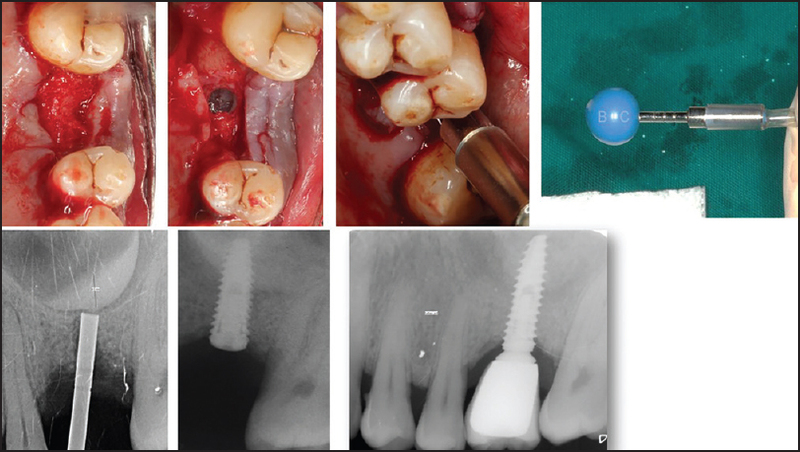 found in a review that if residual alveolar bone height is 3-6 mm, a crestal approach to lift the sinus lining and place 8-mm implants may possibly lead to fewer complications than a lateral window approach to place implants at least 10 mm long. The next advancement in the transcrestal sinus lift procedure was the use of trephine drill for atraumatic sinus lift [Figure 9]. 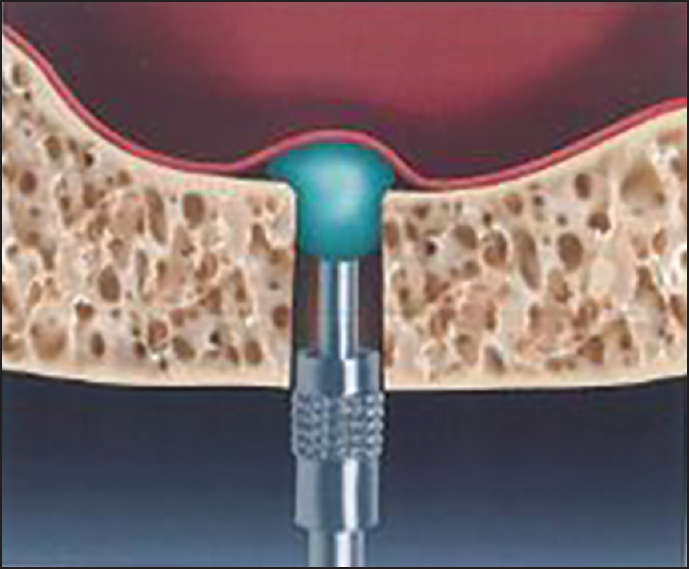 Cosci and Luccioli  introduced a series of atraumatic lifting drills of varying lengths to avoid perforation of the sinus barrier during drilling of the implant site, and this is called the crestal approach technique. 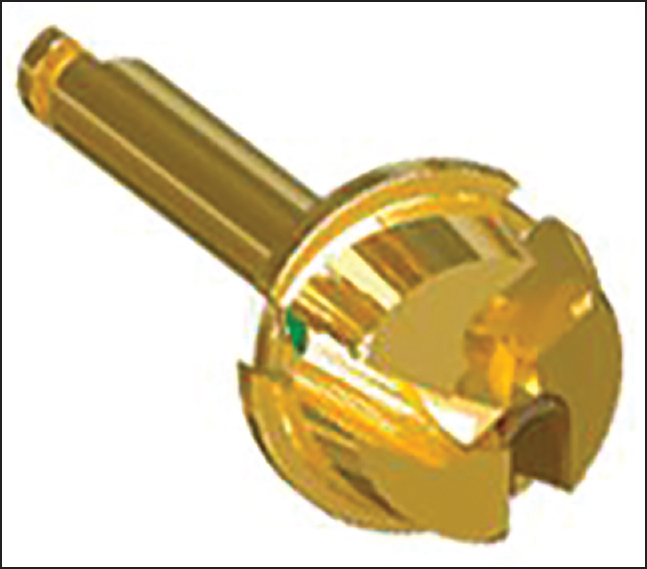 The Cosci technique is performed as follows: If the residual bone height is 6-7 mm, a dedicated trephine drill of 3 mm diameter is initially used for the first 2-4 mm, then the dedicated 3 mm long and 2 mm diameter pilot drill is used, followed by the 3 mm long intermediate and 3.1 mm diameter drill, and by one or more atraumatic lifting drills of the actual heights of the ridge as measured on the radiograph. If the residual bone height is 4-5 mm, then the trephine drill is not used and the site is initially prepared with the dedicated 3 mm long and 2 mm diameter pilot drill, the rest of the preparation procedure remaining identical. The site is probed with a blunt instrument to feel the presence of the Schneider membrane, after using the first atraumatic lifting drill. If the presence of bone is felt, a 1 mm longer atraumatic lifting drill is used, and so on, until the sinus lining is felt. Osteotomes are not used. The integrity of the maxillary sinus epithelium is carefully checked with a blunt instrument, then it is gently lifted, and graft material placement followed by implant placement is done. There is a risk of instability of the implant in the initial stage and that of postoperative complications as the osteotome technique may perforate the maxillary sinus membrane or form an excessive bony cavity at the implant placement area. Lalo et al. proposed a device for diminishing the sinus membrane perforation by an osteotome and drilling with a stopper, whereas Tilotta et al. reported on a surgical procedure using an osteotome equipped with a trephine bur and stopper. The perforation rate in sinus membrane elevation using the osteotome technique was reported to be 0-21.4% (mean, 3.8%), and the 3-year survival rate of the implants placed in the sinus lift area was reportedly 87.4-96.0% (mean, 92.8%). Kolhatkar et al. reported a 97.0-97.1% success rate for the implant placed in the sinus lift area with a crestal approach. To prevent perforation, Nkenke et al. suggested that the sinus membrane elevation be limited on average to 3.0 ± 0.8 mm using the osteotome technique. The residual bone height is the most important factor for the success of a sinus bone graft. In the initial stage, as another limitation of the osteotome technique, at least 5.0 mm residual bone height is suggested in order to fix the implant properly. A clinical guideline recommended that the lateral approach was to be used with delayed implant placement for less than 4.0 mm of residual bone height, the lateral approach and simultaneous implant placement for 4.0-6.0 mm, and the crestal approach for more than 5.0-6.0 mm, on sinus membrane elevation and implant placement in relation to the residual bone height. A minimally invasive surgical procedure has been defined in general surgery as a procedure that is carried out with the least damage possible to the patient. The procedure is called “minimally invasive” when there is minimal damage to biological tissues at the point of entrance of the instrument. Today, minimally invasive surgeons continue to determine and redefine how much can be achieved through smaller incisions and with minimal surgical stress. There are some obvious advantages with a less invasive surgical approach for the patient, such as quicker recovery, less postoperative pain, and economic gain due to shorter recuperation. However, the safety and effectiveness of each procedure must be demonstrated with randomized controlled trials. Various minimally invasive sinus lift devices on the market can be clustered according to the drilling speed. Low-speed drilling is recommended for the Hatch Reamer (Sinustech America, Calabasas, CA, USA), Bone Compression Kit (MIS, Tel Aviv, Israel), Cowellmedi Sinus Lift Kit (Cowellmedi Co., Busan, South Korea), Sinu-Lift System (Innovative Implant Technology, Aventura, FL, USA), Disc-up Sinus Reamer (Dentimate Co., Seoul, South Korea), and Sinus Master (Mr. Curette Tech., Seongnam, South Korea); on the other hand, high-speed drilling is to be applied when using the Sinus Crestal Approach (SCA) Kit (NeoBiotech, Seoul, South Korea), Dentium Advanced Sinus Kit (Dentium, Suwon, South Korea), Sinus Lateral Approach (SLA) Kit (NeoBiotech, Seoul, South Korea) [Figure 4] and [Figure 5], Samuel Lee's Internal Sinus Grafting System (MegaGen, Daegu, South Korea), Santa System (Dentis, Daegu, South Korea). Devices that allow for both high- and low-speed drilling are the Dr. Cosci drill (Dentech Co., Tokyo, Japan), and Sinus Lift Drill (SSI, Seongnam, South Korea). Cho et al. and Kang and Lee  reported that sinus membrane elevation using the Hatch Reamer showed a very high success rate with rapid sinus membrane elevation. Lee and Kim reported that quick and safe sinus membrane elevation was possible even at the septum area by using the SCA kit, which was a high-speed drill with a special blade, reducing the risk of sinus membrane perforation. The antral membrane balloon elevation (AMBE) technique [Figure 6] is another minimally invasive technique to elevate the sinus membrane. 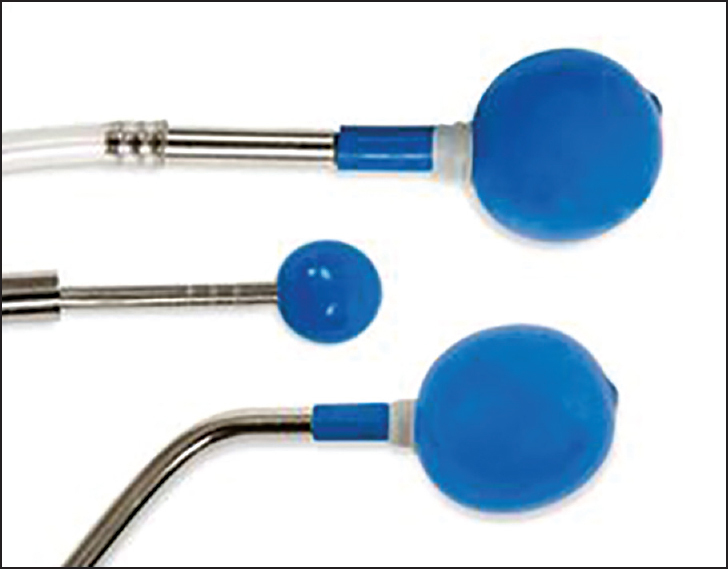 An inflatable balloon is used to elevate the sinus membrane. The AMBE technique was introduced by Soltan et al. It is used to elevate the membrane easily and make the antral floor accessible for augmentation with grafting materials. The use of AMBE allows the surgeon to elevate the sinus membrane with minimal risk of tearing and with a conservative, tissue-sparing surgical approach. This reduces postoperative pain, bleeding, possibilities of infection, and the other morbid symptoms often associated with sinus lift procedures. The technique is especially beneficial when access is difficult and when adjacent teeth are present next to the edentulous area. However, this technique as described by Soltan et al. requires a buccal fenestration and a larger incision than do other, alternative operations. Kfir et al. introduced a minimally invasive method of sinus lift [Figure 7] and [Figure 10] using an upward-expanding balloon deployed via a 3 mm osteotomy.­ This procedure has several advantages. It is brief (less than 60 min), performed under local anesthesia, and leaves the patient with very little operative and postoperative discomfort. Although this procedure is minimally invasive, it can be applied to the vast majority of patient subsets and practically all maxillary and sinus pathology variants, with 97.3% procedural success. Moreover, the procedure can be accomplished in outpatient settings, requires considerably less surgical skill than the lateral window, and has an outstanding efficacy and safety record (consistent incremental bone height >8 mm and 95% implant survival). In 98% of the cases listed in the registry, implants were placed immediately after the sinus lift and bone augmentation. Complications are negligible and mostly limited to minimal (8%) and major (2.7%) membrane tears. The piezoelectric minimally invasive system involves the use of piezoelectric tips to elevate the sinus membrane, thereby completely eliminating chances of sinus perforation. This technique has been proposed for lateral osteotomies. Torrella et al. proposed the use of piezoelectric surgery for lateral osteotomies. These are performed with a bone-preserving incision so that they are less traumatic and the risk of perforation of the Schneiderian membrane is reduced, and a better view is achieved during surgery. Based on the use of piezoelectric surgery, attempts have been made to simplify the sinus lift technique to offer patients an intervention as atraumatic as possible, with milder postoperative discomfort. To this end, Troedhan et al. in conjunction with the Acteon Group (France) have developed the Intralift™ (Mérignac, Aquitaine, France) technique, a minimally invasive technique for lifting the maxillary sinus floor using piezoelectric surgery based on a specific set of tips for the application of ultrasound. They state that this technique opens up a wide range of possibilities in terms of reducing the complexity and morbidity of the open sinus lift. The preparation of the hole to access the floor of the sinus floor is performed at the crest, sequencing the Intralift™ system of pints and the Piezotome/Implant Center 2™ (Acteon Satelec, France), to control the vibration of the tips and their irrigation. The Piezotome makes it possible to work with these ultrasonic tips in four power modes, D1 to D4, which correspond to the classification of bone quality (1 = Dense bone, 4 = Very spongy bone). D1-D2 power is used at the beginning, for cortical bone, and D3-D4 at the end of the procedure for cancellous bone and to lift the sinus membrane. At this point it is necessary to follow the manufacturer's instructions, using the following drill sequences. “Pilot drilling”: A conical diamond tip (TKW 1, Ø 1.35 mm) is used in D2 mode, with irrigation of 70-100 mL/min. “Preliminary drilling”: A cylindrical diamond tip (TKW 2, Ø 2.1 mm) is used in D2-D3 mode with an irrigation of 70-100 mL/min. “Preliminary drilling”: A cylindrical diamond tip (TKW 3, Ø 2.35mm) is used in D2-D3 mode with irrigation of 70-100 mL/min. “Secondary drilling”: A cylindrical diamond tip (TKW 4, Ø 2.80 mm) is used in D2-D3 mode with an irrigation of 70-100 mL/min. The first four drills are only used for widening the preparation, and drill 5 (trumpet) is the only one that really elevates the Schneiderian membrane. Velázquez-Cayón et al. stated that this technique has many advantages. 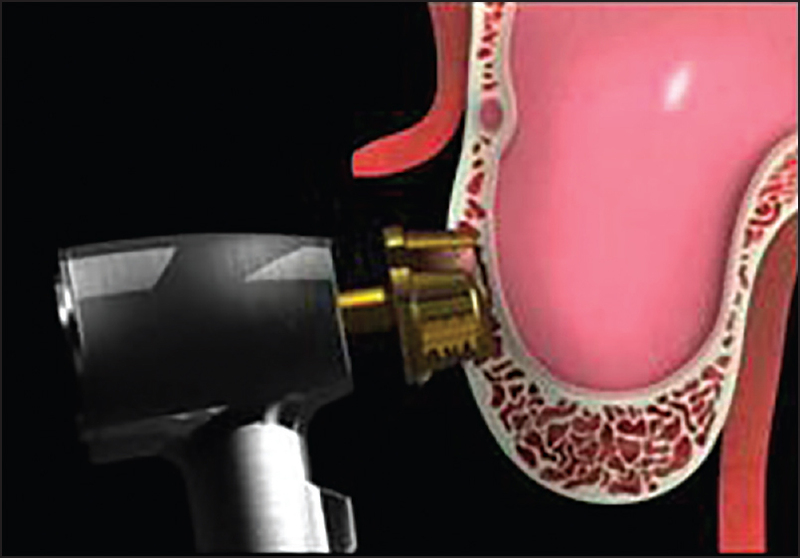 Simplifying the procedure by using piezoelectric surgery tips minimizes the risk of introducing instruments into the sinus cavity, and by using ultrasound cavitation, patient discomfort is reduced — There is no hammering osteotome or lifting of large flaps. The use of ultrasound to perform these surgeries means that we can carry out less traumatic and conservative bone incisions, reducing bleeding and achieving better visibility during surgery. In addition, there is a reduction in the risk of perforation of the Schneiderian membrane: Accidental instrument contact with the membrane, as the instruments used are less aggressive than rotary instruments, carries less risk of injury. This problem can be controlled at all times and membrane integrity can be checked using the Valsalva maneuver. Even if small perforations are caused, surgery can be completed using a small collagen sponge or collagen membrane to close them. Among its advantages, this technique proved more effective in achieving greater and more homogeneous membrane elevation compared to other conventional techniques of indirect sinus augmentation. Regeneration material is seen very distal and mesial to the preparation. Furthermore, the incision does not depend on the force exerted by the surgeon, the ultrasound does all the work. While the membrane undergoes tensile forces when the balloon technique or Summers' technique are used, when the Intralift™ technique is used there is no traction because microcavitation gently detaches the membrane in all directions, not just at a pressure point. Another novel technique as documented by Kher et al. 2014 evaluated a simplified minimally invasive transalveolar sinus elevation technique utilizing calcium phosphosilicate (CPS) putty for hydraulic sinus membrane elevation. In this technique, transcrestal SFEs are performed using a modification of Summers' technique. Full-thickness mucoperiosteal flaps are elevated in order to gain access to the alveolar crest. An osteotomy is initiated at the ridge crest using a 2.0 mm pilot drill. The drill is stopped 1 mm short of the estimated height of the sinus floor, following which a periapical x-ray is obtained to verify the exact position of the drill in proximity to the sinus floor. The osteotomy is then further widened using the drilling sequence recommended by the implant manufacturer. A small quantity of approximately 0.2 cm of CPS putty is delivered in the osteotomy via a narrow-tipped cartridge delivery system to act as a cushion prior to tapping the sinus floor, and a 3 mm concave osteotome with depth markings and a mallet are used to carefully fracture the floor of the sinus. Care is taken not to push the osteotome into the sinus cavity to avoid inadvertent perforation of the sinus lining. Following the green-stick fracture of the floor of the sinus, the bone substitute is directly injected into the prepared sinus cavity via the cartridge delivery system. Once the cartridge tip fits tightly in the osteotomy, allowing the insertion pressure to be delivered directly to the fractured inferior border of the sinus floor, 0.5 cm of CPS putty is carefully injected into the osteotomy. The hydrostatic pressure exerted by the putty results in an atraumatic elevation of the sinus floor. CPS putty can be added in increments until adequate elevation of the Schneiderian membrane is seen on intraoperative radiographs. An appropriately sized implant is subsequently placed at the level of the osseous crest using a manual torque wrench for enhanced tactile sensation. The implants are initially engaged into the remaining native bone at the crest of the ridge and then slowly twisted in to engage in the viscous CPS putty at the apical aspect of the osteotomy. Cover screws are later placed and flap closure achieved [Figure 11]. The authors claim that the most significant benefit from the use of this technique is that it can achieve a gain in bone height comparable with that achieved with the use of the lateral window approach, while maintaining the advantage of the less invasive transalveolar approach. It also overcomes the need to purchase the specialized equipment required to apply hydraulic pressure for the elevation of the Schneiderian membrane, while simultaneously placing an adequate volume of the graft material in the site to allow for placement of the implants. Its atraumatic nature, reduced chairside times, reduced overall treatment duration, improved patient comfort, and minimal graft wastage are additionally beneficial. The limitations of the technique proposed are the operator skill and experience necessary for success, and the minimum 3 mm of available bone height needed for achieving primary stability for the implant. The computer-aided design/computer-aided manufacturing (CAD/CAM) approach has also been used for sinus elevation. 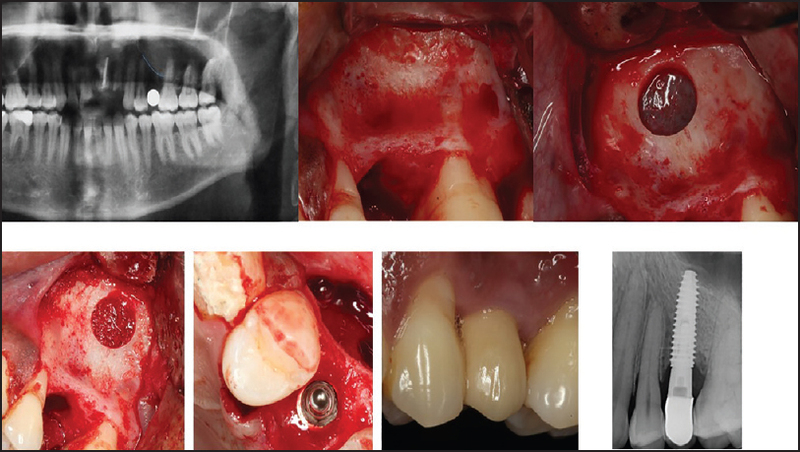 Pozzi and Moy  described a new procedure for sinus elevation using computer-guided planning and a guided surgical approach through the use of CAD/CAM-generated surgical template in combination with expander-condensing osteotomes, thus ensuring a minimally invasive surgical technique. The incidence of development of maxillary sinusitis after an augmentation of the sinus floor ranges from 0% to 20% as documented in available literature., Various studies have documented minimal incidence of postsurgical sinusitis, predominantly among patients with preexisting disease or a predisposition for the same. The common complications are listed below. Timmenga et al., found that the incidence of maxillary sinusitis after bone grafting was very low in patients without preexisting sinus problems. Transient sinusitis only developed in patients with a predisposition for sinusitis but these symptoms ceased after appropriate treatment. Sinus drainage does not seem to be compromised in healthy persons after sinus floor augmentation. The authors also found that an accidental perforation of the mucous lining of the maxillary sinus did not result in sinusitis postsurgically. The authors also concluded that only patients suffering from previous symptoms of sinusitis or predisposing factors should be evaluated preoperatively to rule out structural drainage problems. Pommer et al. found that the maxillary sinus membrane, even in healthy clinical conditions, undergoes morphologic modifications after SFE, yet membrane reactions demonstrate significant variability. They recommended conduction of future research on the effect of augmentation surgery on maxillary sinus physiology. The sinus membrane rupture and other intraoperative and postoperative complications of surgery can decrease the predictability of the procedure and affect the success rate of the implants. The most common complication involving sinus elevation is membrane perforation. The incidence of this occurrence has been reported to range 10-56%. Various techniques proposed to manage these perforations include suturing, the use of collagen membrane, fibrin sealants, freeze dried human lamellar bone sheets.,,, The “Loma Linda pouch” technique involves the use of a slow-resorbing collagen membrane with external tack fixation, which results in complete coverage of all the internal bony walls. The complications can be largely reduced when the technique is performed with great care and all the necessary preoperative and postoperative protocols are followed. A considerable amount of bone formation takes place around the apical region of the implant, which predicts the long-term stability of the implant. Thus, we can conclude that, being aware of the complications associated with the implant treatment of posterior maxilla, the indirect or internal sinus lift can be considered as a promising method to restore the same. The placement of dental implants in the atrophic posterior maxilla is an exigent procedure in the presence of lower maxillary bone height. Numerous clinical procedures and materials have emerged to solve the problem of lower bone volume. The most commonly used surgical intervention for obtaining appropriate bone height prior to the placement of endosseous implants in the posterior maxilla is grafting to the floor of the maxillary sinus. Now with years of research that has already been done in lieu of perfecting this technique it will be rather safe to say that this has now become a very predictable procedure. The major part of success with implant placement in this region lies in treatment planning. It is of utmost importance that the preoperative evaluations are done perfectly and the most suitable technique is decided accordingly for that particular situation, to improve the prognosis of that treatment. As with everything else, this procedure must also have a learning curve, which every budding Implantologist will have to go through, but once those initial difficulties and glitches are resolved, this is certainly a great method for placing implants in the posterior maxilla, arguably the most challenging situation in the oral cavity. Brånemark PI. Osseointegration and its experimental background. J Prosthet Dent 1983;50:399-410. Pietrokoski J, Massler M. Alveolar ridge resorption following tooth extraction J Prosthet Dent 1967;17:21-7. Sharan A, Madjar D. Maxillary Sinus Pneumatization Following Extractions: A Radiographic Study Int J Oral Maxillofac Implants 2008;23:48-56. Boyne PJ and James RA. Grafting of the maxillary sinus floor with autogenous marrow and bone. J Oral Surg 1980;38:613-16. Tatum H Jr. Maxillary and sinus reconstructions. Dent Clin North Am 1986;30:207-29. Esposito M, Hirsch JM, Lekholm U, Thomsen P. Biological factors contributing to failures of osseointegrated oral implants. (I). Success criteria and epidemiology. Eur J Oral Sci 1998;106:527-51. Esposito M, Grusovin MG, Kwan S, Worthington HV, Coulthard P. Intervetions for replacing missing teeth: bone augmentation techniques for dental implant treatment. Cochrane Database Syst Rev 2008;16:CD003607. Summers RB. Sinus floor elevation with osteotomes. J Esthet Dent 1998;10:164-71. Bryant SR. The effects of age, jaw site, and bone condition on oral implant outcomes. Int J Prosthodont 1998;11:470-90. Esposito M, Hirsh JM, Lekholm U, Thomsen P. Biological factors contributing to failures of osseointegrated oral implants. (II). Etiopathogenesis. Eur J Oral Sci 1998;106:721-64. Bahat O. Treatment planning and placement of implants in the posterior maxillae: report of 732 consecutive Nobelpharma implants. Int J Oral Maxillofac Implants 1993;8:151-61. Beschnidt SM, Muche R, Krausse A, Strub JR. Implant survival and success rates in partially edentulous patients-Part I (in German). Schweiz Monatsschr Zahnmed 2003;113:396-403. Jemt T, Lekholm U. Implant treatment in edentulous maxillae: a 5-year follow-up report on patients with different degrees of jaw resorption. Int J Oral Maxillofac Implants 1995;10:303-11. Chanavaz M. Maxillary sinus: anatomy, physiology, surgery, and bone grafting related to implantology-eleven years of surgical experience (1979-1990). J Oral Implantol 1990;16:199-209. Cawood JI, Howell RA. Reconstructive preprosthetic surgery. I. Anatomical considerations. Int J Oral Maxillofac Surg 1988;17:233-36. Ariji Y, Kuroki T, Moriguchi S, Ariji E, Kanda S. Age changes in the volume of the human maxillary sinus: a study using computed tomography. Dentomaxillofac Radiol 1994;23:163-68. Kim MJ, Jung UW, Kim CS, Kim KD, Choi SH, Kim CK, et al. Maxillary sinus septa: prevalence, height, location, and morphology. A reformatted computed tomography scan analysis. J Periodontol. 2006;77:903-8. Velásquez-Plata D, Hovey LR, Peach CC, Alder ME. Maxillary sinus septa: a 3-dimensional computerized tomographic scan analysis. Int J Oral Maxillofac Implants. 2002;17:854-60. Ella B, Sedarat C, Noble Rda C, Normand E, Lauverjat Y, Siberchicot F, et al. Vascular connections of the lateral wall of the sinus: surgical effe ct in sinus augmentation. Int J Oral Maxillofac Implants 2008;23:1047-52. Schwartz-Arad D, Herzberg R, Dolev E. The prevalence of surgical complications of the sinus graft procedure and their impact on implant survival. J Periodontol 2004;75:511-16. Harris D, Buser D, Dula K, Grondahl K, Haris D, Jacobs R, et al. E.A.O. guidelines fo the use of diagnostic imaging in implant dentistry. A consensus workshop organized by the European Association for Osseointegration in Trinity College Dublin. Clinical Oral Implants Research 2002;13:566-70. Harris D, Horner K, Grondahl K, Jacobs R, Helmrot E, Benic GI, et al. E.A.O. guidelines for the use of diagnostic imaging in implant dentistry 2011. A consensus workshop organized by the European Association for Osseointegration at the Medical University of Warsaw. Clin Oral Implants Res 2012. Temmerman A, Hertele S, Teughels W, Dekeyser C, Jacobs R, Quirynen M. Are panoramic images reliable in planning sinus augmentation procedures? Clin Oral Implants Res 2011;22:189-94. Fortin T, Camby E, Alik M, Isidori M, Bouchet H. Panoramic Images versus Three-Dimensional Planning Software for Oral Implant Planning in Atrophied Posterior Maxillary: A Clinical Radiological Study. Clin Implant Dent Relat Res 2011. Janner SF, Caversaccio MD, Dubach P, Sendi P, Buser D, Bornstein MM. Characteristics and dimensions of the Schneiderian membrane: a radiographic analysis using cone beam computed tomography in patients referred for dental implant surgery in the posterior maxilla. Clin Oral Implants Res 2011;22:1446-53. Cha J-Y, Mah J, Sinclair P. Incidental findings in the maxillofacial area with 3-dimensional conebeam imaging. Am J Orthod Dentofacial Orthop 2007;132:7-14. Misch, Carl E. Contemporary Implant Dentistry, 3rd ed. St Louis: Mosby, 934-6. Felice P, Pistilli R, Piattelli M, Soardi E, Barausse C, Esposito M. 1-stage versus 2-stage lateral sinus lift procedures: 1-year post-loading results of a multicentre randomised controlled trial. Eur J Oral Implantol 2014;7:65-75. Emmerich D, Att W, Stappert C. Sinus floor elevation using osteotomes: A systematic review and metaanalysis. J Periodontol 2005;76:1237-51. Ferrigano N, Laureti M, Fanali S. Dental implants placed in conjunction with osteotome sinus floor elevation: A 12-year life-table analysis from a prospective study on 588 ITI implants. Clin Oral Implants Res 2006;17:194-205. Nkenke E, Schlegel A, Schultze-Mosgau S, Neukam FW, Wiltfang J. The endoscopically controlled osteotome sinus floor elevation: A preliminary prospective study. Int J Oral Maxillofac Implants 2002;17:557-66. Peñarrocha-Diago M, Rambia-Ferrer J, Perez V, Perez-Garrigues H. Benign paroxysmal vertigo secondary to placement of maxillary implants using the alveolar expansion technique with osteotomes: A study of 4 cases. Int J Oral Maxillofac Implants 2008;23:129-32. Brägger U, Gerber C, Joss A, et al. Patterns of tissue remodeling after placement of ITI dental implants using an osteotome technique: A longitudinal radiographic case cohort sudy. Clin Oral Implants Res 2004;15:158-66. Del Fabbro M, Corbella S, Weinstein T, Ceresoli V, Taschieri S. Implant survival rates after osteotome-mediated maxillary sinus augmentation: a systematic review. Clin Implant Dent Relat Res. 2012;14 Suppl 1:e159-68. Nedir R, Nurdin N, Szmukler-Moncler S, Bischof M. Placement of tapered implants using sinus floor elevation technique without bone grafting: 1-year results. Int J Oral Maxillofac Implants 2009;24:727-33. Pjetursson BE, Rast C, Brägger U, Schmidlin K, Zwahlen M, Lang NP. Maxillary sinus floor elevation using the (transalveolar) osteotome technique with or without grafting material. Part 1: Implant survival and patients' perception. Clin Oral Implants Res 2009;20:667-76. Esposito M, Grusovin MG, Rees J, Karasoulos D, Felice P, Alissa R, et al. Interventions for replacing missing teeth: augmentation procedures of the maxillary sinus. Cochrane Database Syst Rev 2010;3:CD008397. Cosci F, Luccioli M. A new sinus lift technique in conjunction with placement of 265 implants: a 6-year retrospective study. Implant Dentistry 2000;9:363-68. Lalo J, Broukris G, Djemil M, Beleh M. Safe technique for sinus floor elevation through alveolar crest with stop sinus osteotomes. Implantodontie 2005;14:62-70. Tilotta F, Lazaroo B, Gaudy JF. Gradual and safe technique for sinus floor elevation using trephines and osteotomes with stops: a cadaveric anatomic study. Oral Surg Oral Med Oral Pathol Oral Radiol Endod. 2008;106:210-6. Kolhatkar S, Cabanilla L, Bhola M. Inadequate vertical bone dimension managed by bone-added osteotome sinus floor elevation (BAOSFE): a literature review and case report. J Contemp Dent Pract 2009;10:81-8. Jensen OT, Shulman LB, Block MS, Iacono VJ. Report of the Sinus Consensus Conference of 1996. Int J Oral Maxillofac Implants 1998;13 Suppl:11-45. Lee JY, Kim YK. Sinus bone graft using minimal invasive crestal approach and simultaneous implant placement: preliminary report. Implantology 2008;12:4-16. Cho SW, Kim SJ, Lee DK, Kim CS. The comparative evaluation using Hatch Reamer technique and osteotome technique in sinus floor elevation. J Korean Assoc Maxillofac Plast Reconstr Surg 2010;32:154-61. Kang IJ, Lee TK. Evaluation of early success rates in sinus lift procedures utilizing the Hatch Reamer system. J Dent Implant Res 2007;26:33-43. Soltan M, Smiler D, Ghostine M, Prasad HS, Rohrer MD. 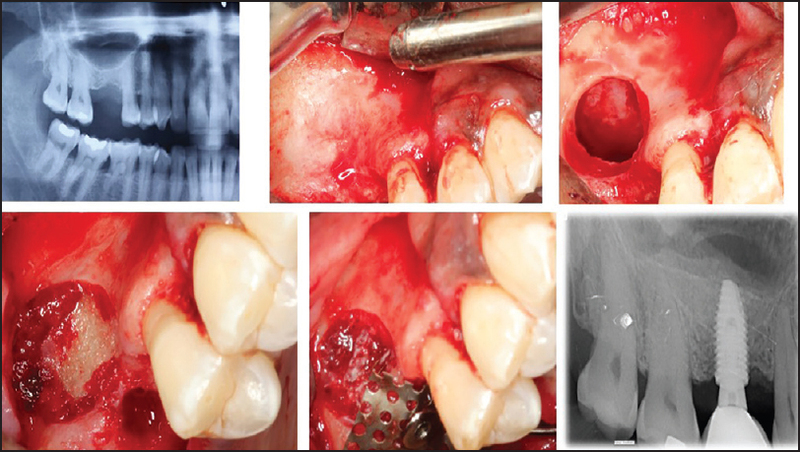 Antral membrane elevation using a post graft: a crestal approach. Gen Dent 2012;60:e86-94. Kfir E, Kfir V, Eliav E, Kaluski E. Minimally invasive antral membrane balloon elevation: Report of 36 procedures. J Periodontol 2007;78:2032-35. Kfir E, Goldstein M, Yerushalmi I, et al. Minimally invasive antral membrane balloon elevation — Results of a multicenter registry. Clin Implant Dent Relat Res. 2009;11:e83-91. Vercelloti T, Paoli De S, Nevins M. The piezoelectric bony window osteotomy and sinus membrane elevation: introduction of a new technique for simplification of the sinus augmentation procedure. Int J Periodontics Restorative Dent 2001;21:561-67. Sohn DS, Lee JS, An KM, Choi BJ. Piezoelectric internal sinus elevation (PISE) technique: A new method for internal sinus elevation. Implant Dent 2009;18:458-63. Troedhan AC, Kurrek A, Wainwright M, Jank S. Hydrodynamic ultrasonic sinus floor elevation – an experimental study in sheep. J Oral Maxillofac Surg 2010;68:1125-30. Velázquez-Cayón R, Romero-Ruiz MM, Torres-Lagares D, Pérez-Dorao B, Wainwright M, Abalos-Labruzzi C, et al. Hydrodynamic ultrasonic maxillary sinus lift: review of a new technique and presentation of a clinical case. Med Oral Patol Oral Cir Bucal 2012;17:e271-5. Kher U, Ioannou AL, Kumar T, Siormpas K, Mitsias ME, Mazor Z, et al. A clinical and radiographic case series of implants placed with the simplified minimally invasive antral membrane elevation technique in the posterior maxilla. J Craniomaxillofac Surg 2014;42:1942-7. Pozzi A, Moy PK. Minimally invasive transcrestal guided sinus lift (TGSL): a clinical prospective proof-of-concept cohort study up to 52 months. Clin Implant Dent Relat Res. 2014;16:582-93. Ueda M, Kaneda T. Maxillary sinusitis caused by dental implants: report of two cases. J Oral Maxillofac Surg 1992;50:285-87. Quiney RE, Brimble E, Hodge M. Maxillary sinusitis from dental osseointegrated implants. J Laryngol Otol 1990;104:333-4. Timmenga NM, Raghoebar GM, van Weissenbruch R, Vissink A. Maxillary sinusitis after augmentation of the maxillary sinus floor: a report of 2 cases. J Oral Maxillofac Surg 2001;59:200-4. Timmenga NM, Raghoebar GM, van Weissenbruch R, Vissink A. Maxillary sinus floor elevation surgery. A clinical, radiographic and endoscopic evaluation. Clin Oral Implants Res 2003;14:322-8. Pommer B, Dvorak G, Jesch P, Palmer RM, Watzek G, Gahleitner A. Effect of maxillary sinus floor augmentation on sinus membrane thickness in computed tomography. J Periodontol 2012;83:551-6. Ardekian L, Oved-Peleg E, Mactei EE, Peled M. The clinical significance of sinus membrane perforation during augmentation of the maxillary sinus. J Oral Maxillofac Surg 2006;64:277-82. Karabuda C, Arisan V, Hakan O. Effects of sinus membrane perforations on the success of dental implants placed in the augmented sinus. J Periodontol 2006;77:1991-7. Vlassis JM, Fugazzotto PA. A classification system for sinus membrane perforations during augmentation procedures with options for repair. J Periodontol 1999;70:692-9. Vina-Almunia J, Penarrocha-Diago M. Influence of perforation of the sinus membrane on the survival rate of implants placed after direct sinus lift. Literature update. Med Oral Patol Oral Cir Bucal 2009;14:E133-6. Proussaefs P, Lozada J. The “Loma Linda pouch”: A technique for repairing the perforated sinus membrane. Int J Periodontics Restorative Dent 2003;23:593-7. [Figure 1]: (adopted) Misch CE, Resnik RR, Dietsch FM. Maxillary sinus anatomy, pathology and graft surgery.